We’ve received many letters over the years about dogs that have passed and the grateful owners just wanted to let us know what a wonderful companion they were and so happy they were able to be a part of their lives and how much they will miss them. In August it was our turn to say goodbye to our beloved Buddy. He would have been 15 in November. Buddy met hundreds of people over his lifetime, always with his tail wagging waiting for a good scratch behind his ears. 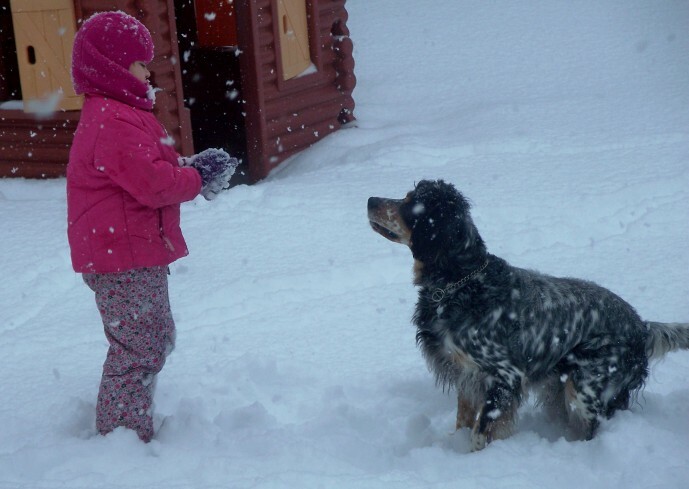 He was such a beautiful dog and like all our setters had the sweetest disposition. His offspring casts a net that stretches far and wide. Our recent summer litters were the 8th generation which Buddy was a huge part of. Customers would often ask how we could not keep the pups and how hard it was to choose. I have always believe a pup chooses you, we can’t count the times that someone was set on a gender or color and would often go home with the complete opposite. Many years ago it was Buddy who chose us. I can tell you that he was my dog, he may have hunted with George and played with the kids, but he was always by my side. Through good times and bad. Through laughter and tears. His years with us represented a phase of the passing of time and life events. A phase in our life when our kids where small, all our parents where alive and life in general just seemed so much simpler. Buddy was only the second setter we had in our home in the 31 years George and I have been together. 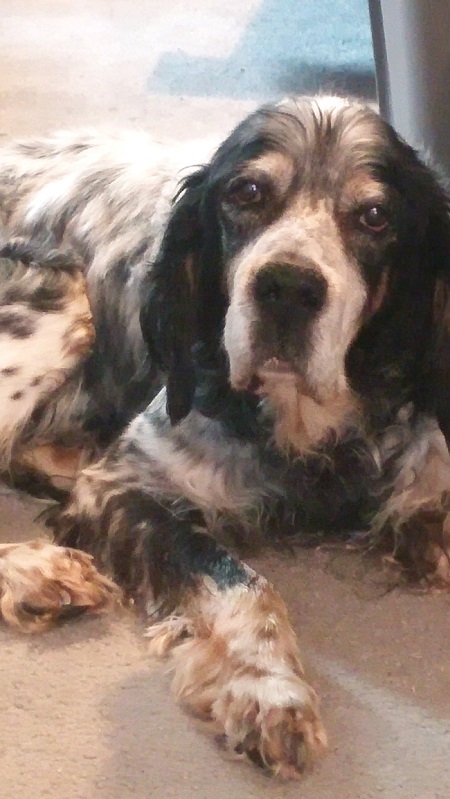 Our first setter Spot also lived to be 14 and died of natural causes when Buddy was just 6 months old. Making the decision to let him go was one of the hardest things we had to do. We struggled and although we knew it was the kindest and most humane, it was still so incredibly difficult. I envy people who never have to make that decision. George and I take comfort in the fact that we have been fortunate enough to breed these dogs for the last 25 plus years and give families and hunters the chance to add a companion to their lives that give so much love and ask nothing in return. RIP Buddy. We will miss him every day for the rest of our lives.